Since age 15, when she played aspiring dancer Jody Travis on The Edge of Night, Lori Loughlin has worked nonstop. She’s starred in more than 30 TV movies — including her hit Garage Sale Mysteries — and found a new generation of fans with Fuller House, Netflix’s reboot of her 1987 to 1995 sitcom Full House. And we would’ve seen her even more if not for a role she plays offscreen: mom to her two daughters Olivia Jade, 18, and Isabella Rose, 19, with her husband of 20 years, fashion designer Mossimo Giannulli. 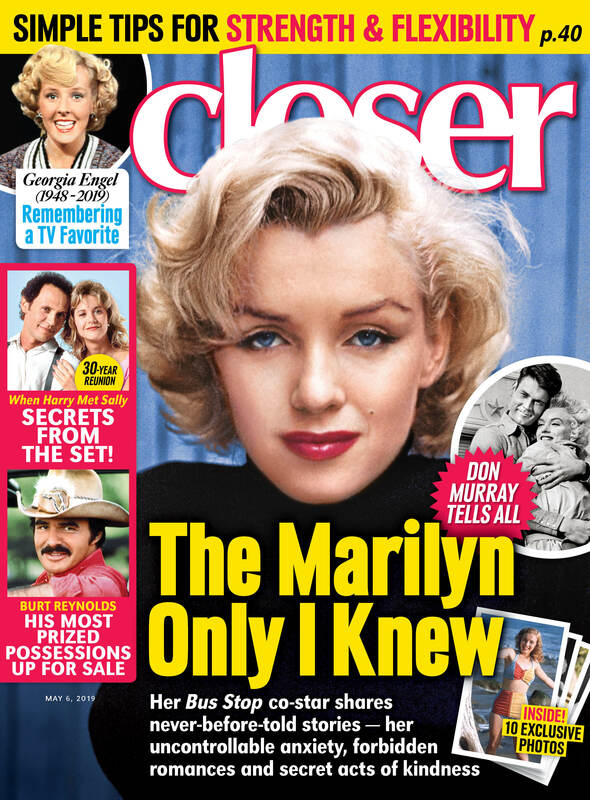 “I don’t ever view anything that I have to give up for my kids as a sacrifice,” Lori, 54, exclusively revealed to Closer Weekly in the magazine’s latest issue, on newsstands now. “I never thought, ‘Oh, my gosh, I had to give up that job.’ I said to myself, ‘If I bring human beings into the world, they’re going to be my priority.’ And I love them.” Now Lori opens up to Closer about her family, the surprising thing left on her to-do list, and how co-star John Stamos rates as a kisser — scroll down to read our Q&A with Lori! You’ve made 15 Garage Sale Mysteries TV movies. How did this all start? My mom loves mysteries, and I grew up watching that kind of television with her, so that’s why I took the original Garage Sale Mystery [in 2013]. I play a married working mom with two children who runs an antique store, and in every movie I stumble on a murder victim. What appeals to you about the series? It’s a good, old-fashioned whodunit, a throwback to shows like Murder, She Wrote where nothing was too scary, so you don’t have nightmares about gory details. Is it important to you to choose projects that families can watch together? I don’t know if I ever thought this was the path I would carve for myself. It just happened, but if there were projects that were out of my comfort zone or didn’t line up with my beliefs, I would pass. When I was young, I’d think, “Would I feel comfortable if my dad— God rest his soul — watched this?” And somewhere I thought that one day I’d have a family, and what if this was out there? Then Full House was perfect for you. What was it like to return for the reboot in 2016? There were a lot of emotions. It was surreal being on the same soundstage where we shot the original show. Sometimes you just go, “Is this truly happening? We had such a great time doing it the first time, and now we’re doing it again?” It’s pretty special. And in many ways it was like no time has passed. Full House is one of the greatest jobs I’ve ever had, largely because of the friendships I made. It’s truly a family. And it reunited you with John Stamos! On a scale of 1 to 10, how do we rate your TV husband as a kisser? Oh, my God, we love John Stamos! He is the best, a 10 in so many areas and a great guy. After he had his first son, Billy, this year, did he come to you for parenting advice? No, but he’s a great dad. I’ve been over to his house, and just to watch him with [Billy], he’s so happy. He’s a natural, but he’s always been so good with kids. Even years ago, he was the baby whisperer. Now the little actresses that play our adopted daughters want to know where he is every moment of the day. I’m very happy for him and his wife, [Caitlin McHugh], and I’m especially happy for John, because I know for a moment he was thinking [fatherhood] had passed him by… Oh, he’s texting me right now! He wants me to read lines with him. He’s literally in the trailer next to me. Speak of the devil! Do you feel that you grew up on the Full House set the way Candace Cameron Bure and Jodie Sweetin did? I started it when I was 23 and was almost 30 when it ended. There were marriages, divorces, deaths, children being born. We ran a gamut of emotions together, so I’d say we all grew up a bit on the show. You married your first husband, Lionsgate exec Michael R. Burns, during its run in 1989, and divorced in 1996, right after the show ended. Why didn’t things work out? He was a great human being, but I just felt he wasn’t the one for me. I was probably too young and didn’t know enough about what I needed, but I couldn’t say one bad thing about him. He was a really nice person. Then you found lasting love with Mossimo. How was it different? I just knew when I met Moss that he was my guy. I don’t know how to explain that — I just knew it was something different than with anybody else I’ve ever met. How do you balance time for each other with a career and parenthood? Whether it’s [saying] “Every Friday is date night” or “We’re going to put aside time for us,” you just have to keep communicating and working at it. Did becoming a mom change you? Life becomes all about your kids, or at least it did for me. How did you transition to parenthood without giving up your career? I was not a hovering parent. I knew that I still loved acting and wanted to continue, but I made different choices so I wouldn’t be an absentee parent. When they were inquiring about me playing the mom on the new 90210, I said, “Where does it shoot?” They said LA, and a lot of work has left LA, so I said, “I’m very interested.” I knew it was a big ensemble and I wouldn’t have to work every day. I was so happy that after the first three or four seasons, I don’t think my kids even knew I had a job! Now that they’re on their own and their lives are full, I think about my schedule in terms of my husband, because I don’t want him to be left alone! Olivia Jade is a YouTube sensation. Has she come to you for advice? Here and there, of course. I think the greatest thing I’ve done for her is get her really good representation, so she has a strong team around her. Her father, who started his own company, is also there to help. She knows she always has us. How do you think you’ve changed since landing your first regular role on the soap The Edge of Night from 1980 to 1983? That was the biggest lesson for me as an actor. One of our popular leads, Larkin Malloy, was hit by a car. The next day, Thursday, I went to the hospital and he was in such bad shape. But on Friday, they had five actors auditioning for his role, and on Monday another actor was playing his part. They didn’t fire him — he eventually came back — but I think that always made me remain very humble and grateful. You turned 54 in July. Any benefits to this stage in your life? I’m more comfortable in my own skin. In a weird way, you don’t fret the small stuff. And you’ve accomplished so much! Anything left on your list? I hope to become a better golfer!